Hanukkah takes place this year from Saturday, December 24 through Sunday, January 1, 2017, and this area offers a variety of ways to celebrate. 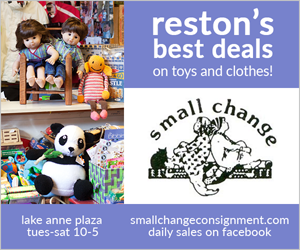 Here’s what’s happening in Reston and nearby parts of Northern Virginia and DC. 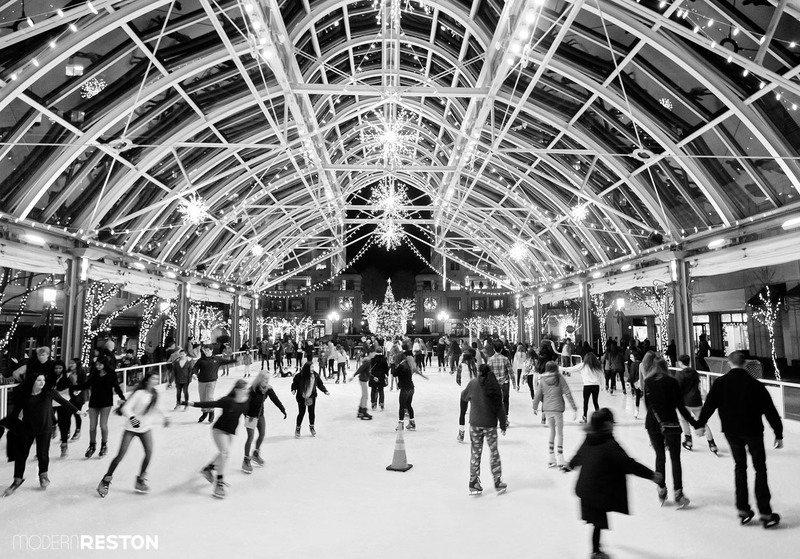 Chabad of Reston-Herndon will host a celebration at Reston Town Center’s ice rink on Sunday, December 25th. 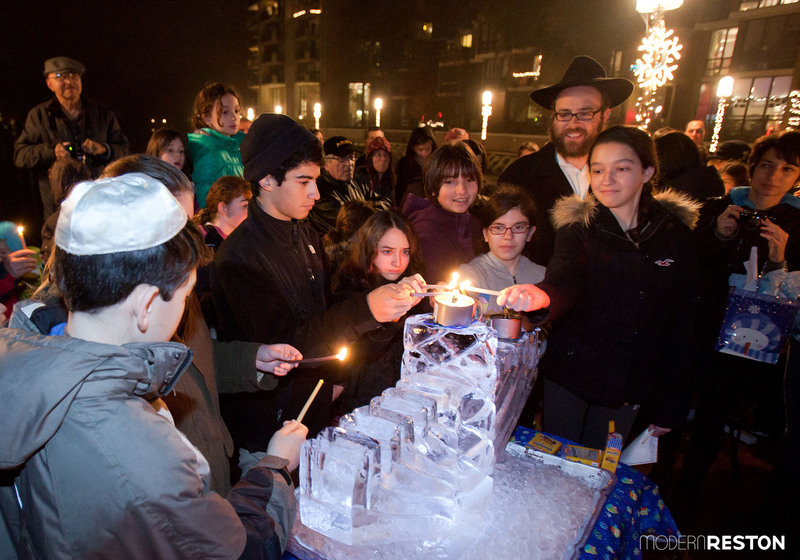 Ice skate to lively Chanukah music and enjoy a giant menorah lighting, latkes, donuts, chocolate gelt, and dreidels. FREE, register online. Enjoy the lighting of a giant Menorah, a free raffle, family entertainment, hot latkes, chocolate gelt, and dreidels. Each child will receive a light stick. FREE. Chabad of Reston-Herndon will host Chanukah Wonderland at Lake Anne on Tuesday, December 27th. Enjoy the hilarious pirate magic of Captain Silly Bones, lighting of our giant cupcake Menorah, face-painting, balloon shaping, mac and cheese dinner, chocolate coins, dreidles, latkes, Chanukah activities, and more. $5 per person. $18 cap per family. Register online. Get creative and build a unique menorah according to the rules below. Bring your completed menorah to Chanukah Wonderland (at Reston Community Center Lake Anne) on Tuesday, December 27th at 4:30PM. Rules: Menorah must have a total of nine branches (including the shamash). Eight branches must be in a straight line and of even height. Scoring At the party, each Menorah will be tagged and guests will vote for the best one. Winner receives a $30 Amazon Gift Card and a Menorah. Contestants will be divided into 2 groups: Ages 5-8 and ages 9-12. One winner from each group. Enjoy hot latkes and chocolate gelt during the lighting of a 6-foot menorah. There will be lively music and dreidels for all. FREE. Join the Jewish Community Center of Northern Virginia for songs and stories celebrating the miracle of Hanukkah. Complimentary Kosher donuts and chocolates provided. FREE.